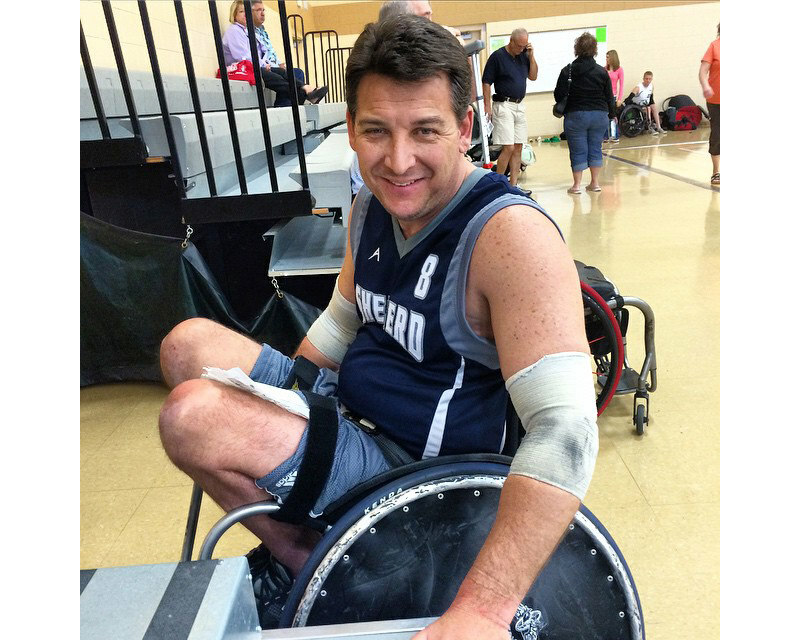 "I became a complete C-7 quad on November 9, 1991 as the result of a car accident," said Chris Malcom, founder of the iPush Foundation, a lifestyle resource and source of encouragement for anyone who uses a wheelchair. "I was a sophomore in college at the time. I'm not proud of it but I was drinking and driving when I flipped my car four times. I thank God that I was alone and did not hurt anyone other than myself." "After the wreck, I was rushed to the hospital and admitted into ICU. When I woke up, I knew immediately I was paralyzed. I wasn't able to move my hands and had no idea or understanding of what I was going to do." "I can honestly say that I was surrounded the best family and friends that anyone could have asked for. I was lucky that nothing really changed with my friendships. The people that were, and are, my good close friends remain my good close friends and the people that were just acquaintances remain acquaintances." 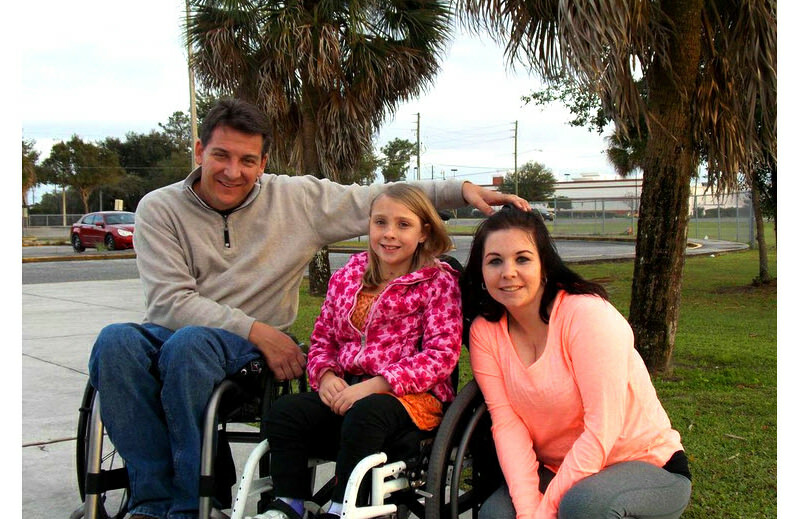 Chris with iPush Foundation's first wheelchair recipient, 9-year-old Alexis, and her mom. Chris' advice to the newly injured is simple—surround yourself with the people that are always helping you and visiting you when you're in the hospital. "My friends were constantly there for me when I wanted them the least and needed them the most. That's how I realized how good of friends they were, and still remain." The Million Dollar Question: Dating? "I met my wife at a cookout at my roommate's house. My wife's sister was an occupational therapist at the Shepherd Center. She brought one of her newly injured patients to our cookout and just happened to bring her sister (who is now my wife, Andee) with her. I really liked Andee but I was dating someone else at the time." "A couple of months later, after my girlfriend and I broke up, I called Andee and asked her out. We hit it off immediately." "One day, I got a brand new wheelchair that I thought was really cool. That night Andee and I went on a date and she didn't say anything about my cool new chair so I was kind of bummed," he recalled. "When I asked her why she didn't say anything about my new chair, her response was, 'I don't think about you being in a wheelchair, so I didn't notice.' A month later, I asked her to marry me." "One big misconception that a lot people have is just because you're in a wheelchair, you can't have kids. That couldn't be further from the truth. Having kids isn't as easy as it is for an able-bodied person but it is definitely a possibility. There are several procedures that allow people with SCI to have children." "My daughter is the best!" said the proud papa about his daughter, Madison. "I try to show her that where there's a will, there's a way. She was probably three or four years old when she realized that not everyone's dad is in a wheelchair." "She thinks the wheelchair is cool because she likes to ride in my lap. She's at an age now that she has learned how to push it herself." "Don't let your disability define you. 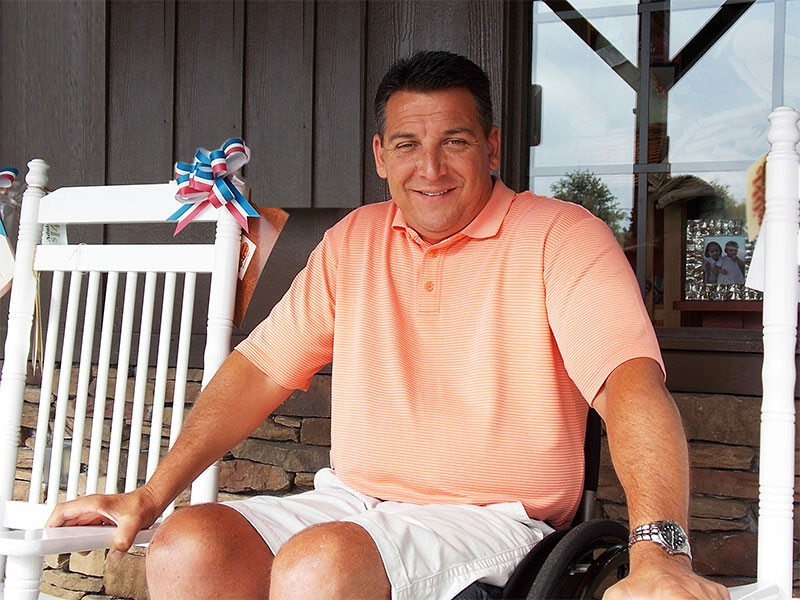 Where there's a will, there's a way and even though life with a spinal cord injury may be different, it doesn't mean life is over." 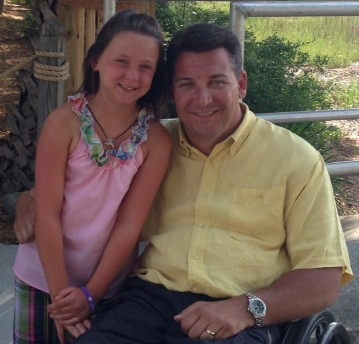 Read the rest of Chris' story, including how he uses his disability to help his daughter fight Juvenile Diabetes, in the Wheel:Life book entitled Reconnecting: Relationship Advice from Wheelchair Users. This free publication features the real life stories of people who use wheelchairs, along with their unique perspectives on friends, family and relationships including dating, marriage and parenting. Request a free copy at: http://wheel-life.org/book-request-form/free-book-series/reconnecting-book-form/. 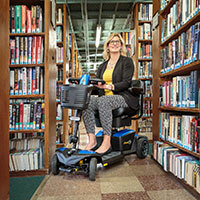 Lisa Wells has helped create several online social communities (Wheel:Life, Life After Spinal Cord Injury & iPush Foundation) to assist wheelchair users in discovering new relationships, lifestyle resources and web-based support groups. Lisa also leads Get Social Consulting, a consulting practice that guides healthcare providers in creating online communication resources for people who have disabilities. An acclaimed speaker and guest columnist, you will find her presenting at healthcare conferences nationwide. Follow her articles at www.wheel-life.org.